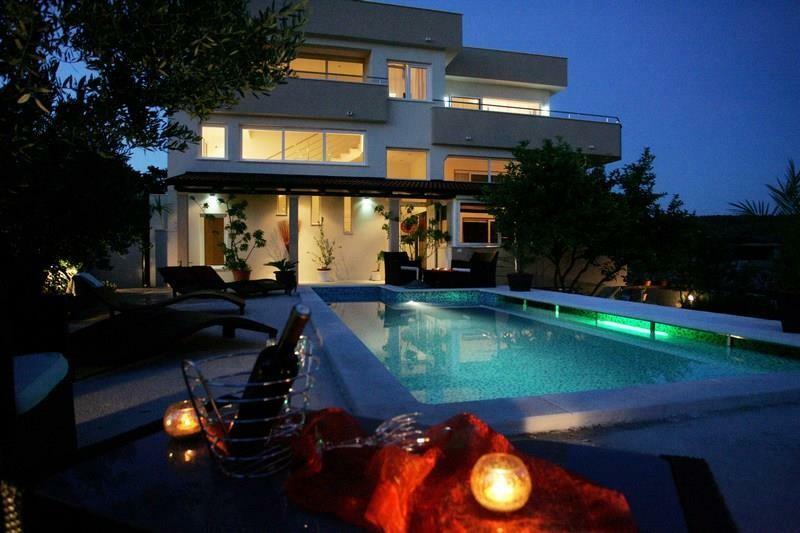 This stunning 2-storey villa is situated in Okrug Gornji, on the Island of Ciovo near the city of Trogir / Island Ciovo. 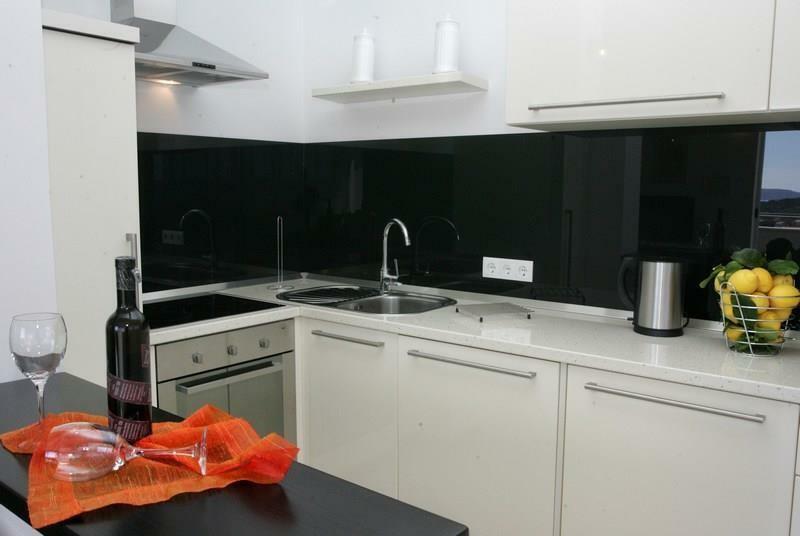 It has 3 separate apartments fully equipped. Ideal for a holiday with friends. Outside there is a shared heated swimming pool and a garden with barbeque. With 5 bedrooms, 3 bathrooms, a terrace and a balcony, Villa Di offers great comfort. The inside decor is beautiful and interesting as the outside. Modern, comfortable furniture are at your disposal. If you want to have breakfast in the morning, you have to contact the owner. If necessary, you can arrange transfers. Smoking is allowed only on the outside. A private parking is assured for you in front of the house. Book your ideal holiday in Villa Di.